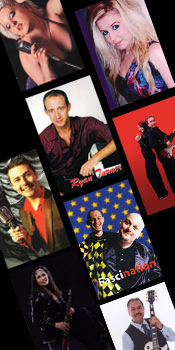 If you are looking for professional entertainers or live music of any kind, solo singers, duos or groups please get in touch and let us help. We know we have something that will suit your needs and budget. Are you an artist looking for an agent to represent you and work hard to get you work. Give us a call to discuss the possibility of becoming represented by Great Western Entertainments. Call us anytime between 9.00 a.m. and 10.30 p.m.